It was the 11th. Time to bow. Bow to the Power of Good prevailing in Syria and Iraq, in Woodstock, in the space between you and me. I didn’t want to get out of bed. but I’m the boss and the worker. So calling in sick was not an option. It turned out to be a bountiful morning of new friends. I tell her about I.B.O.W., my fertility work and how I’m applying the O.V.UM., idea to the peace efforts. And she gets it. She does. For one person to “get” you and celebrate the birth of your creation, that makes for a good day. Isn’t this fierce longing for a child also a wish to be, for once, unconditionally received by another? What is the one thing you would want someone to “get” about you? Hmm, I thought for a while on this question. 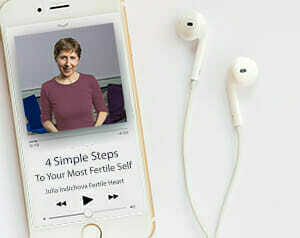 Couple of years back I was desperate for people to know that conceiving is not easy and the struggle and agony I am going through……my bestest friends couldn’t get it and I was heart broken. Then I took up this new path, OVUM work and tried to project the improvements and the shifts to my near and dear and they were either making fun or me or didn’t get me at all and were thoroughly confused as to what in the world am i doing without going to the doctor. Again I was heart broken. My sincere need to for my kith and kin to “GET” about me was costing me heart ache and making me loose sleep. I felt like I was proving something and made me vulnerable, weak and dependable on others. Now after using OVUM tools sincerely for past couple of months (from Nov I took up Mandy’s challenge) and with the shift that I can feel at the moment, my take is 70% of the folks don’t care about your pain, feelings, 25% are happy that you too have problems, and 5% care about you without explaining what you are going through. I don’t need to explain them what I want from them as without me asking they give me all their support, strength and courage to go through this journey. So in short, I don’t have any expectations from anyone to “GET” about me. My biggest goal and aim currently is to “GET” to know about “myself” and my priorities straight and listen keenly to my inner voice says. I will be the most contented person if I can get this part straight. I feel so good saying and writing this Julia……..can’t thank you enough and can’t thank my not yet born for choosing me for this challenge and making me a better person and a better mom so that I can take care of her very well. I have never thought I would even say this one day. This is not only applicable for my baby longing but for any other area of my life, whether be it on personal or professional front. Why do your comments always make me smile, S.? I think maybe because you are so disarmingly honest and the changes I’ve witnessed in you are astonishing! Really! I don’t say this very often, certainly not publicly, but there is no doubt in my mind and heart that you are eminently fertile in every way. I think you know it…don’t you? Yes Julia, I totally understand what you hinted at !! I still remember my first email, first call with you and I can clearly see the shift in me ! Thank you so much for your support, I am blessed to come across this work!! Thanks to my desperation and longing for my not yet born ! The one thing I would want people to get about me is my heart. Pure and simple because I think so many of us hide it. It’s what I celebrated about you when we first met, Lori, you sure do have a huge, brave, beautiful heart! I love reading your answers. I feel I’m getting to know each of you a little better through these beautiful, honest replies. You are my heroes. It’s nice to know that this work has touched many lives to one degree or another. And…t does take courage to truly engage with this practice to the extent you are engaging with it. It’s exciting for me to witness the shift taking place in each of you and to witness the unfolding of your stories. I think for the past 3 years I have wanted people to “get” how hard it was for me to conceive and what the difficulties were in losing a pregnancy. However I feel that falling away now and I just want people to “get” that I am on another path now and following my heart. It has been an evolution since January when I decided to really commit to the OVUM tools and I know you have said it in your books but I FEEL it now. The tools are bursting open new joys and laughter and fun in my life that I had forgotten could exist. I completely agree with every word you wrote Katy ! I love envisioning the people of Woodstock happening upon your peace project. The light that spreads out from you, reaching them, is such a gift. And I have a wish to come and be a part of it too. If someone were to ‘get’ that I seek to live my days serving the creation in which we live, with utter respect, and being open to give and create with life energy, I would be happy. Julia- First, I have to just say this-you are on of my heroes. I love you for your passion and commitment to all of us and those commitments you hold sacred. I know the world will be a better place by your willingness to offer healing and hope- in so many ways. To answer the question about what would I want someone to get about me- I wish that some of the people in my life would see that longing for a child is not an act of desperation, jealousy, sadness, or frustration at missed opportunities . It’s an act of trust and comes from a place of profound love and gratitude. I am birthing myself in the process as well. I wish some of the people in my life could understand that. Blessings to you for all that you do!